Algarve, Portugal’s most popular destination and southernmost region, finds itself at a crossroads in its regional tourism development. Its coastal regions are threatened by overcrowding in the popular summer months, while in rural areas, villages are slowly dying. Tourism brings many (mostly poorly paid) jobs, which causes worker shortages in other sectors. And with economic performance strongly affected by the seasonality of tourism, the Algarve as destination faces significant challenges. Here some impressions and observations on Destination Algarve. This is the first of a new series of destination profiles, part of our Destination Observatory. Faro international airport makes it easy to access the Algarve. Fast train from Lisbon to Faro and (via connecting train) to Lagos. Experiences: sun and beach are the main motivations for visiting Algarve, but the region has much more to offer, including historical and cultural tours and, thanks to local entrepreneurs, high quality culinary experiences. The mild climate and plenty of sunshine year-round are strong assets. The Algarve is well known internationally and has a strong, positive reputation as destination. Overcrowded beach resorts (in summer) and at the same time dying rural communities are – together with an industry (and jobs) strongly affected by seasonality – the main challenges affecting the Algarve as destination, according to the tourism sustainability and regional develoment expert Joao Ministro of ProactiveTur. Most tourists stay at the coast, while the hinterland is less developed and explored. This leads to a situation where rural villages are slowly dying because of people moving away. Lack of affordable housing and connectivity – internet, public transportation,.. – means that those villages are not attractive enough for local families to settle. High degrees of second homes only used in summer is a challenge for any community trying to keep alive and vibrant. But in the case of Portugal’s southernmost region, there is another aspect: those living in the countryside can help prevent forest fires (at least those caused by nature, not humans). But how to get people interested in the hinterland, not just sun and beach vacations? Rich in cultural and artisan heritage, adding creative, authentic artisan experiences to the already existing tourism offer in the Algarve is one big opportunity which is now starting to be seized, by Joao and others. 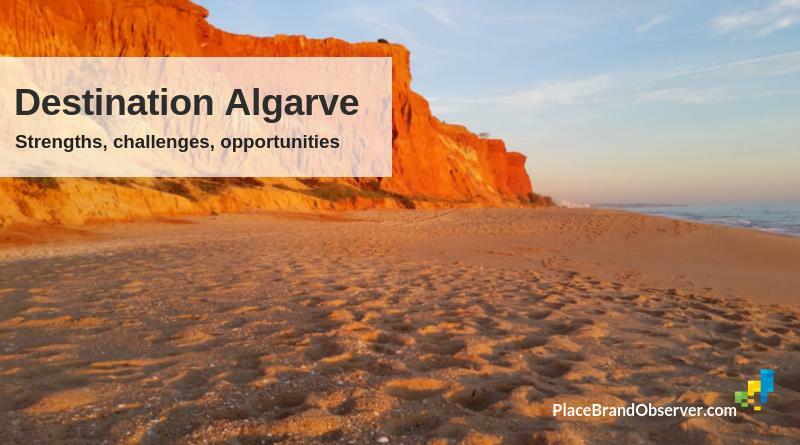 But there is another opportunity: making the Algarve a hotspot for digital nomads, especially during spring, autumn and winter. Infrastructure might not – yet – be developed enough in the smaller places to attract internet-dependent digital nomads, but the region’s larger cities are starting to catch up on this trend. Digital nomads are a new kind of tourist / worker, often staying a month or more, giving them the opportunity to really engage with local communities and getting to know them. Rather than just “gazing” and observing (like the usual day tripper), they have the possibility to get involved and to contribute to the community. In Faro, Rita Sampaio runs the Atelier CoWorking – a small space right in the centre of town, with a large room available for seminars. It is one of serveral coworking spaces now emerging across the region, as featured on Portugalist.com. Food in particular is still very affordable in Portugal. Together with the mild climate in winter it is a good reason for choosing Faro as a base for remote work. And where Wi-Fi signals are low or not existing, retreats for “digital detox” would be an opportunity to offer a space to unwind and recover from hectic modern city life. More and more of us are now hooked to our smart phones and tablets, our brains always craving for the next stimulus – be it a like, a comment, or a chat message. After all, turning a place’s challenges and limitations into opportunities is what imaginative place branding is all about! More about the Algarve’s regional development, branding and sustainability in our in-depth interview with Joao Ministro. What do you like most about the Algarve? Which opportunities do you see for its sustainable development as destination? Comments welcome! Curious about TPBO on TOUR or want us to visit your city, region or destination? Here’s more.